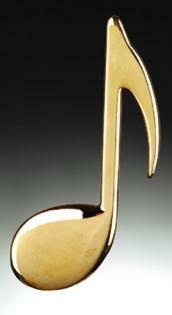 Delight your music lover with this 8th note. A magnet attached to the back will allow it to be displayed on your refrigerator or any metal surface. These items also make sweet teacher gifts, recital gifts or stocking stuffers.